Ted was born in Toronto and Educated at the University of Toronto Schools, McMaster University, and the University of Toronto. He completed Fellowships in General Surgery at the University of Toronto, was the first Surgical Oncology Fellow at the Princess Margaret Hospital in Toronto, and a Head and Neck Fellow at Roswell Park Memorial Institute in Buffalo New York. He started his practice at St. Joseph’s Hospital and McMaster University in Hamilton in July 1975 and since then has been Head of the Head and Neck Service at St. Joseph’s Hospital and McMaster University, Head of Surgical Oncology at the Hamilton Hospitals and at the Regional Cancer Center (subsequently the Juravinski Cancer Centre), and Chief of Surgery at St. Joseph’s Hospital. 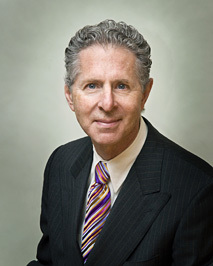 He has been Clinical Professor of Surgery at McMaster since 1987. He has been a Visiting Professor at numerous Canadian and American centers. Ted has a career long interest in needle aspiration as a diagnostic tool for head and neck disease; complicated reconstruction in the head and neck; sentinel node biopsy for melanoma in the head and neck; benign and malignant thyroid disease and hyperparathyroidism. He was President of the Society of Head and Neck Surgeons in 1995 and gave his Presidential address in Paris France at the very successful meeting there that he helped organized. He has been married to Linda for 44 years (2009), he has a son and a daughter and two granddaughters. He is still in practice both in Head and Neck Oncology and Thoracic Oncology at St. Joseph’s Hospital in Hamilton Ontario.